Like all of Winmate's Rugged Tablets, the design is very straight forward. There is no fan, and that always simplifies things which allow Winmate to offer 8.4", 10.4", up to 12.1" screen but still come in under six pounds in an ultra rugged machine. Inside of Winmate Rugged Tablet shows the motherboard and variety of peripheral boards surrounding it. In essence not even all of it as most I/O sits on subsidiary boards, meaning that Winmate has flexibility in accommodating I/O customization requests. Winmate's practice of separating the motherboard from the interface boards allows the company to quickly and easily customize these devices for customer specific applications without having to redesign the motherboard itself. 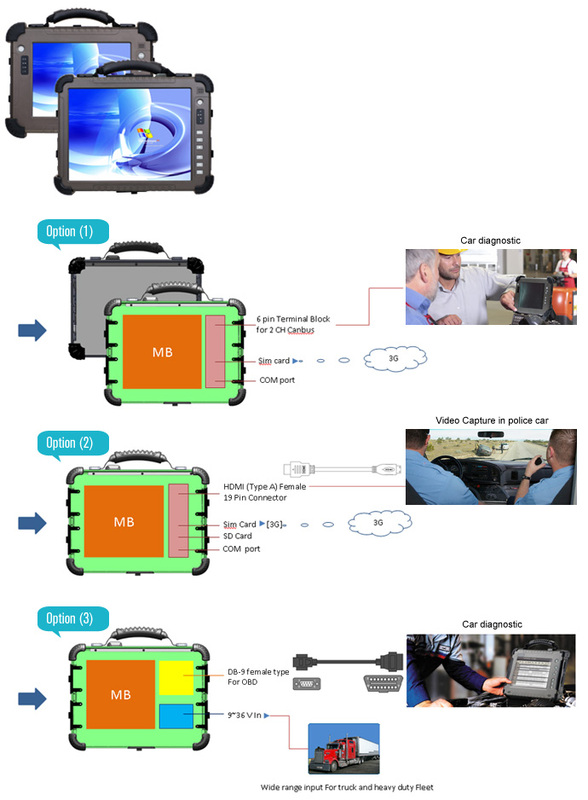 Winmate’s line of rugged Tablet PCs includes a variety of screen sizes (8.4”, 10.4”, or 12.1”), display technologies, and processor architectures. All share sturdy part of full magnesium aluminum housings and approach to build computers for use in tough environment settings. 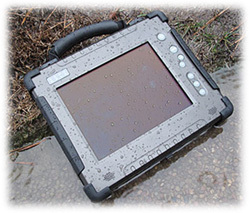 This is an Ultra Rugged Tablet computer designed for use in applications where workers carry the device around on the job and use it while standing up, which makes a notebook impractical. These series also designed so it can survive being dropped, rained on, or used in extreme temperatures or other harsh environmental conditions.